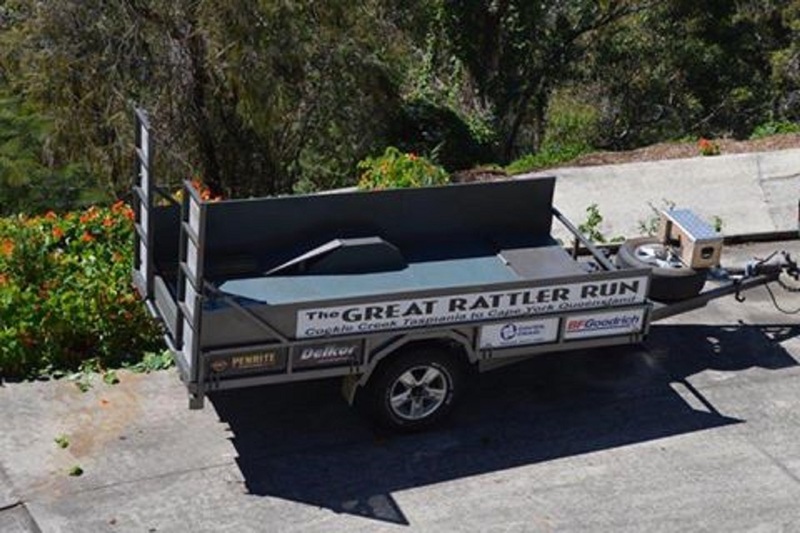 The trailer needed a full rebuild following The Desert Rattler Run. New springs, new electric brakes and wiring, and a complete sand down and repaint. Tool box repaired, winch serviced and tested. All that is needed now are the decals which I’m off to do today. Also been to Graffiti Stickers at Burleigh and had the signage attached to the trailer. Now for the Hema maps.